We now know that some people are more mindful than others, and those people seemingly feel less pain. Washington: Mindfulness -- a meditative practice that focusses on paying attention to the present moment -- can increase person's tolerance to pain, a study has found. 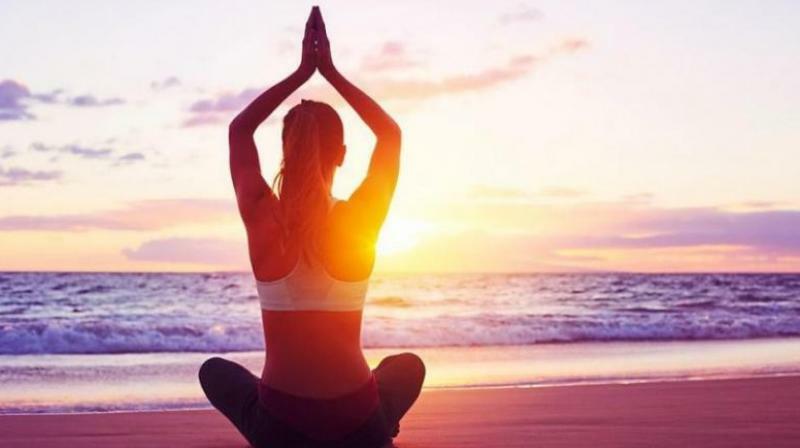 Researchers from Wake Forest School of Medicine in the US analysed data obtained from a study published in 2015 that compared mindfulness meditation to placebo analgesia. They sought to determine if dispositional mindfulness, an individual's innate or natural level of mindfulness, was associated with lower pain sensitivity, and to identify what brain mechanisms were involved. "Mindfulness is related to being aware of the present moment without too much emotional reaction or judgment," said Fadel Zeidan, assistant professor at Wake Forest Baptist Medical Center. "We now know that some people are more mindful than others, and those people seemingly feel less pain," said Zeidan, lead author of the study published in the journal Pain. In the study, 76 healthy volunteers who had never meditated first completed the Freiburg Mindfulness Inventory, a clinical measurement of mindfulness, to determine their baseline levels. While undergoing functional magnetic resonance imaging, they were administered painful heat stimulation. "The results from our study showed that mindful individuals are seemingly less caught up in the experience of pain, which was associated with lower pain reports," Zeidan said. "Now we have some new ammunition to target this brain region in the development of effective pain therapies," he said.